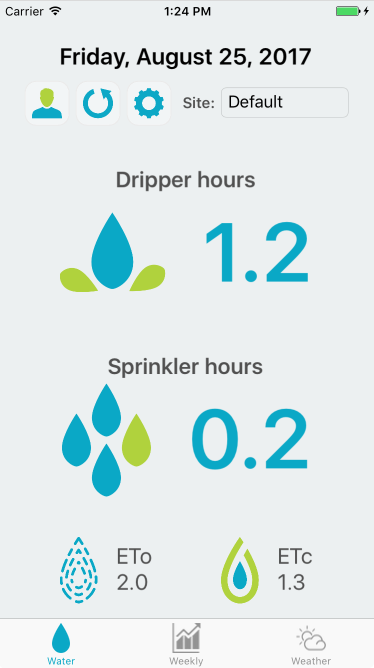 Provides a 7-day forecast on the predicted hours of dripper and spinkler irrigation required for your crop. 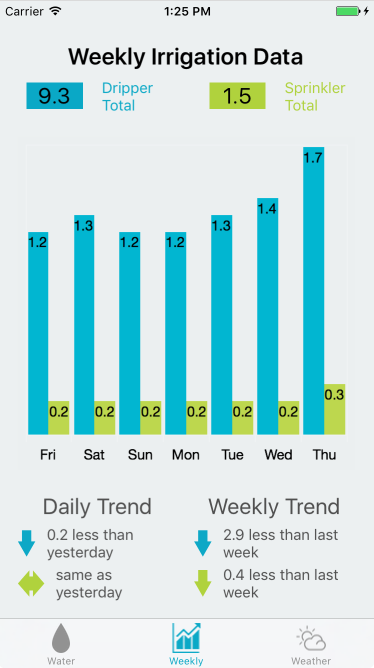 Plan your irrigation schedule for the whole week and view daily and weekly trends. Caters for multiple crop sites of differing row spacing, row width and flow rate of your irrigation system. 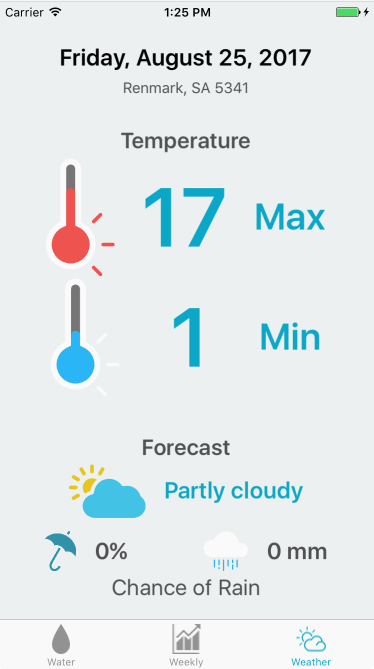 Adds the convenience of a 7 day weather forecast showing temperatures and predicted rainfall. 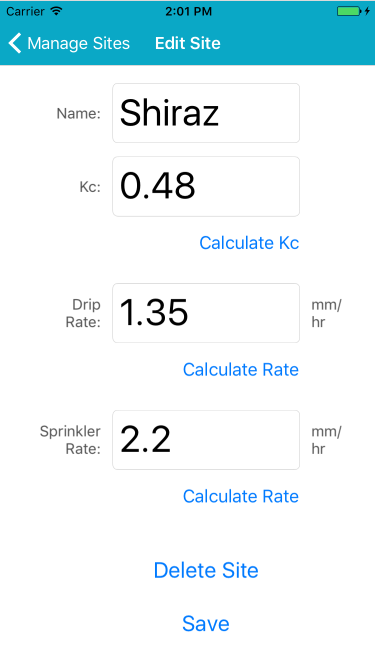 “CCW gratefully acknowledges the support of the SA Murray-Darling Basin Natural Resources Management Board and the Australian Bureau of Meteorology for the provision of Weather data used in the Grapevine Irrigation App." The information supplied by the CCW Grapevine Irrigation App is provided in good faith and is of a general nature. Growers should therefore seek a professional opinion from qualified personnel on how to apply it to each specific site. Accordingly, neither CCW Co-operative Limited nor any of its Directors or employees accept any responsibility for the effects arising therefrom including by reason of negligence, error, or omission.